Undoubtedly, there is no amount of words or phrases that can best describe the move of God in the life of the General Evangelist of Christ Apostolic Church Worldwide, Prophet Hezekiah Oluboye Oladeji. God has been using him tremendously even before he became the General Evangelist of the first indigenous Pentecostal church in West Africa. Prophet Hezekiah, the minister of God par excellence who assumed the office as the General Evangelist of CAC Worldwide on January 1, 2018, is a product of GRACE. Reason: the word Grace has five letters and the Prophet is the fifth General Evangelist and like all his predecessors who had occupied the third highest office in the Church, Prophet Hezekiah came with the ever-flowing oil of the Holy Spirit. He is generally recognized as God’s Battle Axe, pulling down the stronghold of the devil in the field of Evangelism. Born in Oloba Compound, Edun Abon, Osun State on February 13, 1967 to Pa David Oladeji, a Christian of the Baptist extraction, by Madam Elizabeth Oyeronke Oladeji. He attended Baptist Primary School, Edun-abon. A brilliant pupil he was but sickness, which often assailed him and which eventually affected his legs, dulled his chances to read to a level he personally would have desired. He said he barely managed to pass through secondary education. As the sickness which almost crippled him continued to assail the young Hezekiah unabated, he lost his mother in 1982, in the quest to get a cure. Since the sickness did not allow him to complete his secondary education, his father had to apprentice him to Abela Oye, an auto mechanic in Oshogbo for a four-year training (but he ended up spending six years on training alone). The Osogbo vocational training was to change the course of his life as he joined the Christ Apostolic Church (Worldwide) as a member in 1983 on the day he arrived in the town to commence his four years apprenticeship as a mechanic. He accepted Jesus as his personal Lord and Saviour and began to devote his life to fasting and prayer. He received healing for his leg problem and did away with crutches. With this miracle, he told God he was going to serve Him in the Christ Apostolic Church for ever. His call into the ministry came soon after he became a truly born again Christian as he devoted himself to God through prayers, fasting, Bible reading and going out for evangelism. One day in 1985, he saw Jesus and Apostle Ayo Babalola in day light vision. They told him: “We are sending you on a mission in Christ Apostolic Church. You must be obedient and must not copy anybody”. But after completing his apprenticeship for six years and having served as a journeyman for another two years, he decided to go solo. He tried establishing his own mechanic workshop but all to no avail. He was getting poorer. He had to combine mechanic work with doing menial jobs like carrying goods for people, doing labourer work on farms and just anything for survival. Still worried on how to break the poverty shackles, Prophet Hezekiah continued to seek God’s face in fasting and prayers. He enrolled at Babajide School of Prophets and Evangelists in 1992. Midway in the course, God told Prophet Babajide to single him out for graduation. Prophet Babajide told him: “God had taught you from heaven”. This was during the Co-ordinatorship of Pastor Olaniyi. Prophet Babajide signed his certificate and asked him to go and commence his ministerial work. But the Prophet did not heed the call. He hid the certificate in a box under his bed and began to continue seeking breakthrough from his mechanic work. Yet the work did not prosper as he began to live from hand to mouth. In 1993, God told him to meet Him in seven days fasting and prayers on the Mountain at Efon Alaye. On that mountain, God told him that he would give him (Prophet Hezekiah) everything he wanted materially within two years. After the two years, he must stop secular work and start the mission God committed to him. He told God: “But I have been doing your work since 1986. I pray, I fast, I do personal evangelism. So, what else do you want?” God told him: “Drop your secular work for full time work in the ministry at the end of the two years”. He was highly expectant, but the promise seemed to be long in getting fulfilled. As a result, Prophet Hezekiah in 1994 left Osun State for the North where he hoped to make it big as a mechanic. He landed in Kontagora in Niger State. On the seventh day of his arrival in the town, God sent an angel to him. This angel appeared like an Hausa man and said: “You can not make it in this town or in any other town in the north. Go back to your home state.” He knew instantly that God was reminding him of the mission he gave to him and which he had thought he was fulfilling by engaging in fasting and prayer as well as street evangelism. On his return to his home state, God told him to go to Garage Olode. In this town according to the Prophet: “God opened the way for me”. Within a short time, he had acquired wealth. He bought trailers, trucks and commercial transport. He became a big transporter. His transport company operated with the name: “Jesus Power”. At that point, he was no longer enthusiastic in going into full time ministry. Although he was doing evangelism and was establishing churches. But he remained stuck to his mechanic work. Once the churches were established, he handed them over to those who would run them. The first crusade he held in Port Harcourt resulted in the establishment of Canaan Land in the city. Soon, God was to teach him an unforgettable lesson that His call is without repentance. Between 1995 and 1996, his vehicles began to have accidents. Many of them were destroyed. One of his commercial buses had a fatal accident in which two people died. The news of the dead passengers saddened him. According to him, the accident happened around mid-day. He told the drivers to take the dead passengers to the hospital. The first hospital certified them dead. He was not pleased, he personally took them to another hospital, there they were equally rejected as dead on arrival. At midnight, he was so sad that he began to pray asking God to please return the dead passengers alive. God told him: “Disobedient child, are you ready to heed my call and leave secular work?” He promised God that if He could spare the lives of the two passengers, he would immediately heed his call. At about 2.00 in the morning of the following day, God told Oladeji, ‘lay your hand on the dead bodies’, instantly, the dead passengers arose. They were shouting: “This pain is too much. This cold is biting”. They were later taken to the hospital, which had previously rejected them, they were treated and they became whole again. In a similar incident, one of his drivers had accident and died. He was on the mountain for prayer when the news got to him. He wanted to go to the scene and see the dead driver. But God told him not to go. His apprentices had arranged to go and carry the remains of the dead man the following morning, on getting to the spot where he was laid, the dead man had risen from the dead. He finally left secular job between 1996 and 1997. The mission of Prophet Hezekiah to Erio began from his personal marital challenge. He had gotten married in 1994. But the marriage faced delay in getting issue of the womb. As much as the couple tried, there was no conception for the wife. Every year, he had made it a habit to go to various mountains to fast and pray for the first 21 days of the year. When he finished 21 days at Ikeji Arakeji, he would go to Efon Mountain. He was still in search of the fruit of the womb. One day, God asked him to go and meet Him on two mountains. He finished three hours of prayer on the first and moved to the second mountain which happened to be Iddo Ajinare Mountain. After the prayer, God told Hezekiah: “I heard your prayer, but I haven’t answered you. Now, go and ask for Erio Mountain when you reached there I will tell you what to do”. As he was ascending the mountain, he met an angel who delivered the message of God to him: “For you to know that I am the Lord, I will give you a car within 24 hours”. God fulfilled his promise. The wife later bear children. 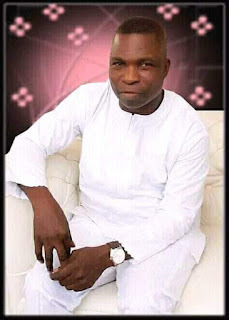 Prophet Hezekiah was in 21 days prayer and fasting in 2003 on Erio Mountain when God asked him to go round the mountain, which was then very bushy and was being inhabited by all kinds of animals and reptiles. God told him, “this place is not supposed to be bushy. Start a programme here to showcase my power.” That was how the Erio programme started in 2003. The first hall built on the mountain, Prophet Hezekiah practically carried the roofing sheets of the building from Garage Olode to Erio Mountain. The Erio Mountain programme has since become the event with which the prophet has earned big renown because of the astounding miracles and manifestation of the power of God on the mountain.